Write a good resume. Go to job fairs. Network. Yeah, yeah, you’ve heard it all before, right? Well did you know how interviewing is like poker? How Google and Facebook can be critical aides – or, in some cases, obstacles – to landing that great civilian job after you transition out of the military? We asked veteran employment experts to share some job search advice that you might not have already heard more times than you can count. Representatives from the Department of Labor, the American Legion, Hire Our Heroes and Veterans of Foreign Wars weighed in. Dan Caporale, founder of Hire Our Heroes, said veterans should come up with a personal brand and be able to sell themselves to a company in a way that rises above the competition. “Don’t just put together a resume. Think about why you’re better than the next guy” for the specific company you want to work for, whether it be Coca-Cola, Budweiser or Starbucks, he said. Next, he recommends figuring out what your long-term goals are and whittling down that list to three top goals. “You should search for your post-military Career 2.0 where those superpowers and goals overlap,” he said in an email. Job searching is also a good time for soul searching. In addition to your strengths, you should be able to identify your weaknesses, Lowe said. “Be humble and ready to correct them. Build a plan to remedy those shortcomings, and if it means getting additional mentoring, training, certification and education to reach your goals, then develop your plan and execute,” he said. Whether you’re an E-3 who just separated or an O-9 retiree, you’ll have to go into your job search keeping your expectations in check, Lowe said. This is also true for job fairs. Caporale has interacted with many discouraged veterans who expected to go to a job fair, hand out their resume and get a job shortly after. But instead, they’ve spent months watching their resumes disappear into the abyss. It is enough to make some vets start doubting their self-worth. 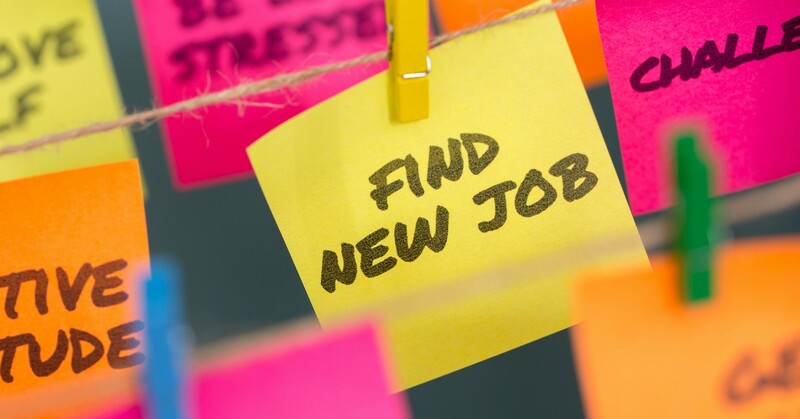 He suggests using your next job fair as an opportunity to network and learn what companies are looking for, instead of going into it assuming that you’ll come away with a new job. The stupid things you did in your wilder days may have been funny at the time – but if there are videos or pictures of your drunken stupors online, they could come back to bite you when you’re looking for a job. “Recruiters will … look at your social media sites to make sure that you are a good fit for their organizations, so try to keep (your) social media clean,” said Ariel De Jesus, assistant director of American Legion’s National Veterans Employment and Education division. This includes Facebook, Twitter and other social media sites, he said. Lowe said your social media presence, in addition to materials like your resume and business cards, can help your job search go smoothly. And you can also use it to your advantage, as some of your virtual friends and followers may be able to help make the right connections. You landed the interview? Great. Now make sure you don’t go in blind. De Jesus said job seekers should always research a company before applying – and definitely before an interview. This includes looking up the company’s mission statement, CEO and history. You should also research the person with whom you’ll be interviewing, keeping your eyes peeled for similarities that could help break the ice. Your time in service comes with benefits. For example, government contractors are required to hire a certain number of veterans, and a lot of companies have veteran hiring initiatives with certain goals to meet, said De Jesus. Last year, under President Trump’s HIRE Vets Act, the Labor Department began a new Medallion Award program aimed at recognizing employers who recruit, hire and retain military veterans. 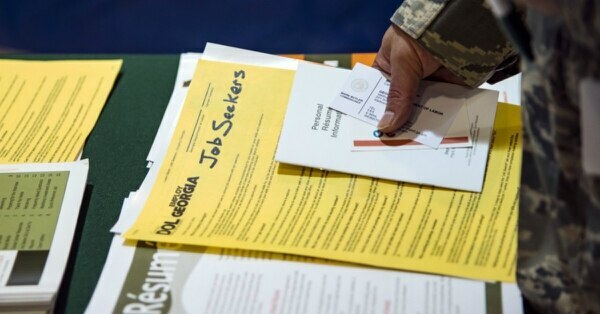 Former service members also get priority at 2,400 American Job Centers across the U.S. for things like resume help, access to training, interview prep and more, according to the Labor Department’s Veterans’ Employment and Training Service, or VETS. On the other hand, don’t overplay your military service, Plenzler cautioned. OK, so you probably have heard this a million times. But our experts feel it bears repeating. He suggests talking to everyone at a job a fair; you may even be surprised at what’s out there. This is another one that you may have heard before, but we just couldn’t leave it out. If you’re getting ready to separate from the military, you likely already know about TAP, the military’s Transition Assistance Program. According to a Defense Department spokeswoman, retiring service members may start TAP two years before retiring, and separating service members can go 12 months before they get out. VETS, the Labor Department group, recommends service members start the process as early as they can and take advantage of its optional tracks, including a new one the Labor Department will roll out this summer. Career Exploration and Planning will assess participants’ interests, aptitudes and values, recommending potential careers and training opportunities based on the results.